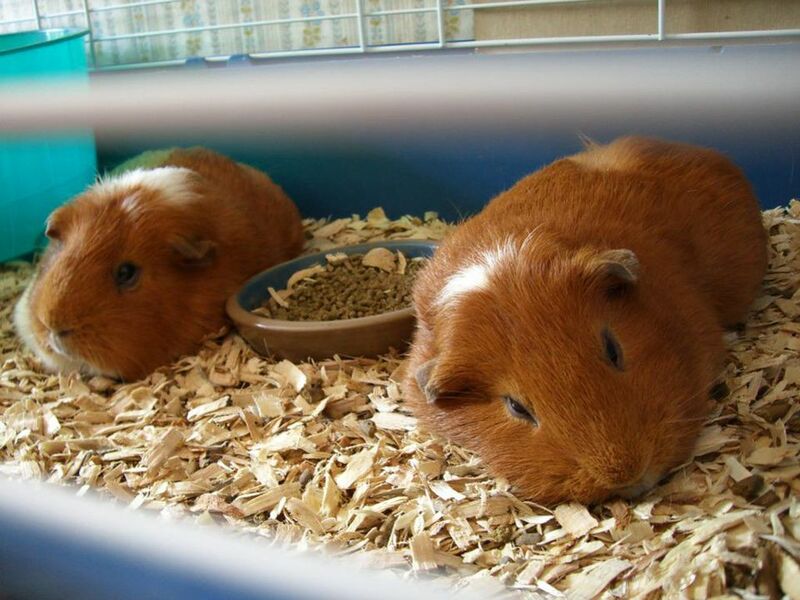 Cedar chips and pine shavings are commonly used as pet bedding materials. However, there have been many discussions over the safety of these materials among exotic pet owners and advocates. Are these items really dangerous to the animals for which they are marketed? Cedar and pine became popular as pet bedding materials because they are good at controlling odor and have some natural insecticidal properties (they kill or repel bugs like lice, especially the cedar chips). These softwood shavings also smell nice due to the volatile compounds (e.g. aromatic hydrocarbons, phenols) that are given off. Unfortunately, though, these compounds are thought to pose a potential health risk, especially with regards to respiratory problems (asthma, inflammation, allergic responses) and changes in the liver. Many of the studies on wood toxicity have actually been conducted on humans who are exposed to these woods and their by-products in the wood product industry (such as those who work in lumber mills who are exposed to lots of wood dust). These studies often compare the incidence of disease in workers in the wood product industry compared to other workers or the average population. Obviously, this is a much different type of exposure compared to that of our pets who are not breathing in dust particles from milled wood. Studies of laboratory animals have shown fairly dramatic changes in liver enzymes of animals housed on cedar bedding though. These changes, in turn, can affect the metabolism of drugs in the liver, including anesthetics, but there is not much information on a direct link between these changes and disease or clinical symptoms. The changes in liver enzymes can be problematic for research animals but the impact on pets hasn't really be studied well. Based on the studies that have shown concern with the compounds in the cedar chips that may cause changes within the body, it seems it is best to avoid using cedar as bedding or litter for our pets, especially since alternatives are readily available. With pine shavings, the problem isn't as clear cut though. Pine shavings emit similar volatile compounds as cedar chips but the risks aren't clear. It is thought that heat treating pine shavings may reduce the levels of aromatic hydrocarbons that have been shown as a potential concern. Therefore, products such as kiln-dried pine are safe (many pet products are heat treated like this). Other experts report skin sensitivities, itching, or allergies to pine shavings and their pets so it might be irritating to their skin despite being safe for the respiratory tract and liver. Since the information about the problems with wood shavings is circumstantial and hasn't been evaluated in the context of health problems in exotic pets, it is hard to make firm recommendations. But, if you have access to other types of pet bedding it is recommended to use them over wood shavings so you don't have to worry about potential risks. The concerns over pet bedding safety seem to have led to a bit of an explosion of alternative bedding products on the market. As far as wood shavings go, aspen is a good option that is widely available. There is an increasing number of other litter or pellet type products on the market now, which are appropriate for use as bedding or in litter boxes. The best option for you depends on the type of animal you are caring for and what the litter is used for. Some of the harder pellet products might be better used in the litter box of a ferret or a rabbit, while the softer types of bedding or litter are good for the smaller pets that need their cage bottom filled, like hamsters. However, even some of the pelleted products can be used as a substrate or bedding for rodents, especially as a cage liner with some softer bedding provided as a top layer. Some of the newer alternatives include paper-based pellets and fluff like Carefresh Ultra (an absorbent bedding that also holds together well so the wet parts can easily be scooped out), litters made from a variety of other organic materials (e.g. cherry/maple wood, aspen wood or bark, grain by-products, wood pulp fibers), and even paper strips (which are soft, but not very absorbent). Another often overlooked alternative is alfalfa pellets (e.g. rabbit food) which are cheap and fairly absorbent. Many options exist and most of them are less of a risk to your pet than wood shavings. Do Aspen Wood Shavings Work as Pet Bedding?